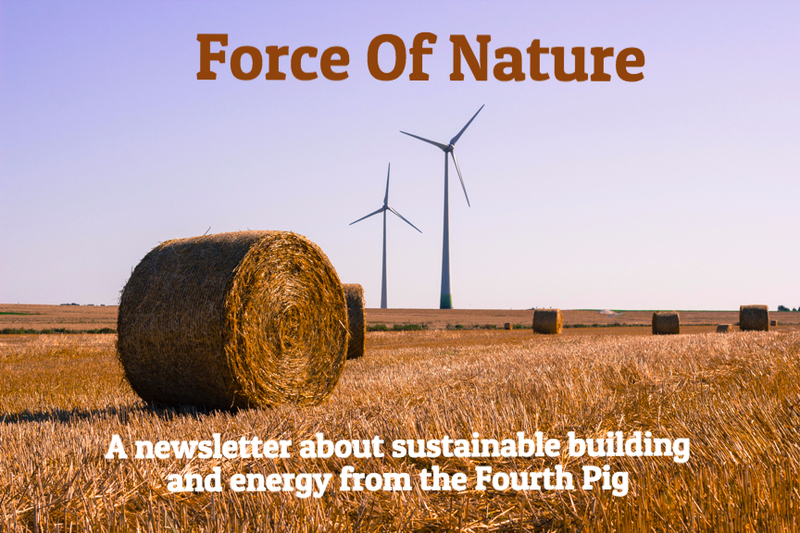 Our free newsletter is one way we try to spread the word about sustainable building. We send it out once a month. If you are interested, sign up here. Having an energy efficient building is only part of the equation towards building sustainability. The embodied carbon of your materials has a big impact on how green a building is. 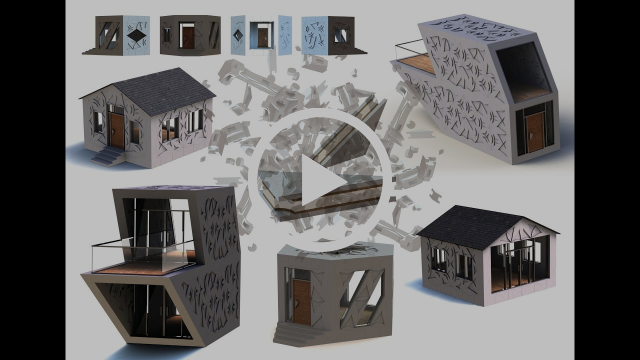 This week we are featuring a few stories on bio-materials (low carbon and renewable) as well as a couple of events promoting sustainable building. 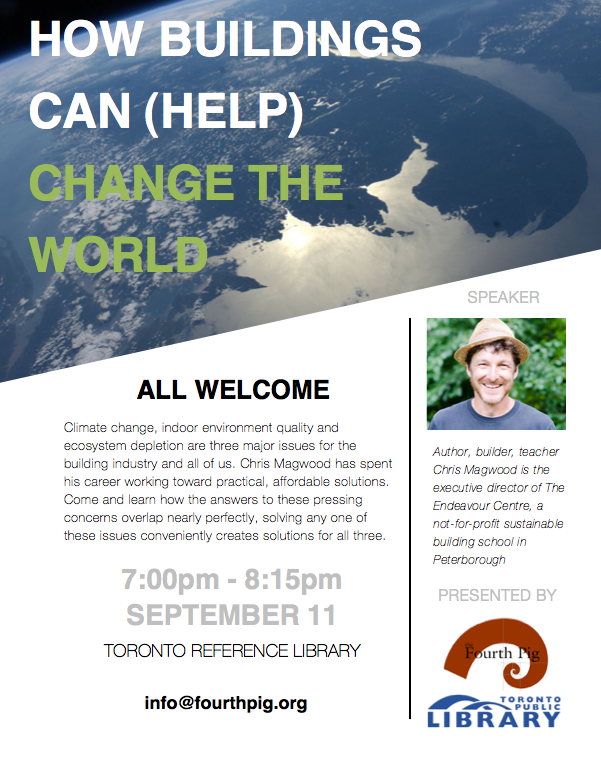 The first event, September 11, is a talk by natural builder Chris Magwood, in Toronto on How Buildings Can (Help) Change the World. 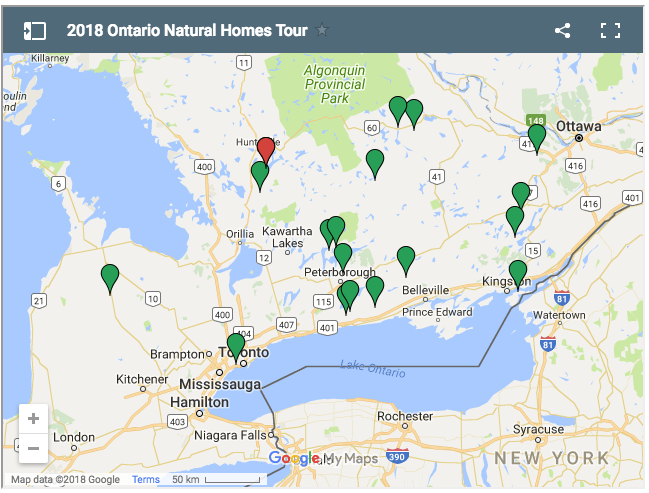 Then on September 30th you can visit bio-built homes with the Ontario Natural Homes Tour. 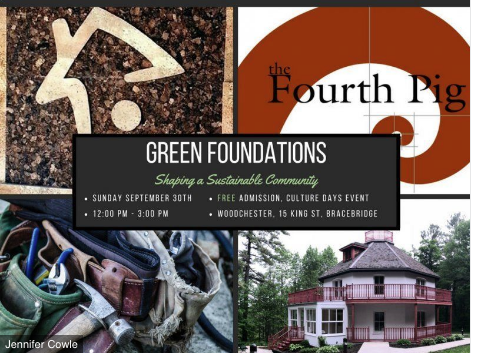 On that same day Fourth Pig's Melinda Zytaruk is speaking in Bracebridge (Muskoka) Ontario about sustainable building and climate change. To start though, a new video about us just came out! With Labour Day around the corner we are excited to be able to share a bit of what we do and why we do it in this short video. Recently Architectural Digest had this clickbait worthy headline: "This Building Material May Hold the Key to Surviving Environmental Disasters". Spoiler: straw bales. Straw bales are a great building resource not only for the insulation value but as Architectural Digest says ". . .straw bales have proven themselves not only worthy fire adversaries, but also relatively stable during tornadoes and seismic shaking." Also worth noting is ". . . straw bale was added to the 2015 International Residential Code (IRC) for one- and two-family dwellings, which allowed most Americans to build straw-bale homes. On January 1, 2017, straw bale became an appendix to the California Building Code." The Passive House Plus standard requires a significant amount of renewable energy use along with some energy production. 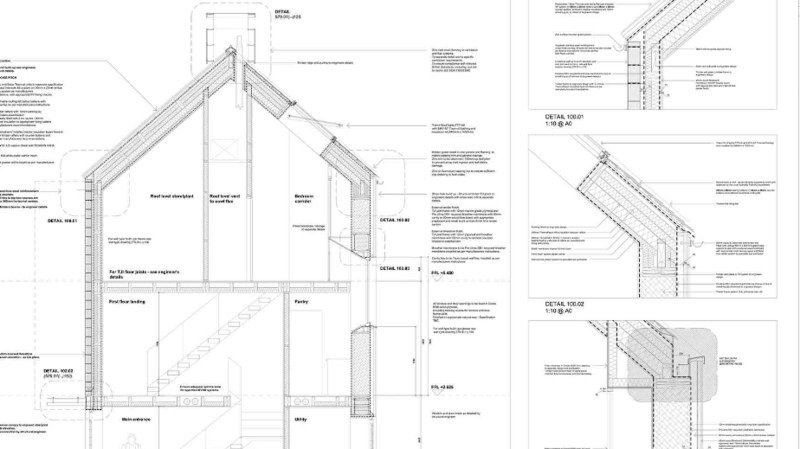 In the town of Leyburn in the UK a straw bale building has met the challenge. Co-owner Ruth Barnet said in the Northern Echo "A lot of people thought it was strange, going down the green route. traders and suppliers would come on site, see the straw and the sheep’s wool and laugh and say ‘Where are the animals?'" The building is reportedly producing more energy than it needs and is of course comfortable. See photos here. In the world of green building there is a lot of modeling that goes on predicting how people behave in buildings. What temperatures do people set? How much electricity in general is being used? What kind of heat is being generated by appliances, computers, peoples and pets? According to the Ottawa Business Journal Carleton University has received $350K from the federal government to study occupant behavior in buildings. "The project will study and model behaviour as occupants move throughout buildings in order to better predict how energy is consumed and find ways to reduce it. Carleton professor Liam O’Brien said in a statement that assumptions about occupancy can have a 'profound impact' on construction decisions." We've reported before on folks who are growing fungi into building materials but now, according to the Guardian, things are, well, growing. London UK, the Guardian reports, is now "home to the Open Cell “bio-village”, a collection of 45 shipping containers being converted into pop-up biotechnology labs and workspaces." In this space there is research on vegan cosmetics, sustainable plastics and yes, fungi for building materials. The later is a company called Biohm. " One of the company’s most exciting new biomaterials is made of mycelia, the fine filaments of fungi that normally grow underground. The mycelia are harvested, fed on agricultural or food waste and grown in large sheets or blocks. Once the living element is killed, a fire-resistant structural material with excellent insulating properties is left." These materials will reportedly be carbon neutral and high performing but this is early days. Also, Biohm is also working on panel construction system that doesn't require fasteners and could, in theory, allow for quite a change in building construction. See promo video below. September 11 in Toronto: "How Buildings Can (Help) Save The World"
Discover the beauty, comfort, and resilience of natural buildings across Ontario on Sunday September 30th. As it does each year the Ontario Natural Building Coalition hosts a tour of homes that went the natural way. "For the tour, dozens of natural homes and buildings across Ontario open their doors for participants to see examples of straw bale, rammed earth, cob, timber frame, off grid, passive solar, and many other natural building methods and alternative technologies." This year it is a 2 for 1 for the Fourth Pig as we have two buildings next to each other that are participating in the tour. Come on out! Plus, if you are in the area, come see our own Melinda Zytaruk speak the same day (see below). Fourth Pig's Melinda Zytaruk presents at "Green Foundations"
Melinda Zytaruk, General Manger of the Fourth Pig Worker Co-op, will be talking about sustainable, low carbon building at Green Foundations - Shaping a Sustainable Future." Melinda's talk is at 1pm. Register for this free event right here! This event is part of Culture Days. Note the Fourth Pig has another event in the area the same day, the Ontario Natural Building Tour (see above). Come before or after the talk!